University of Florence (UniFI), INARSVILUPPO and COST Action WINERCOST are pleased to announce the Final Conference of the action under the keyword: "WINERCOST’18 – Wind Energy Harvesting (...focusing on exploitation of the Mediterranean area)" that will be held in Catanzaro Lido, CZ, Calabria/Italy, on March 21-23, 2018. The TU1304 COST WINERCOST Action was presented to the 5th International Exergy, Life Cycle Assessment, and Sustainability Workshop & Symposium (ELCAS5) (https://www.elcasnet.com). ELCAS5 provided a multidisciplinary international forum for researchers, scientists, engineers and practitioners from all over the world to exchange information, to present high-quality research results and new developments in the wide domain covered by the tools of Exergy Analysis, Life Cycle Assessment (LCA), and issues relating to the environment, and sustainability. Climate Change, Renewable Energy Systems, Sustainable Energy Systems and in particular, Wind Energy Systems, Smart Energy Systems etc are issues that very much effect the sustainability of countries, regions and cities and had been discussed in depth. All participants had also the chance to discuss the future direction and priorities in the fields. 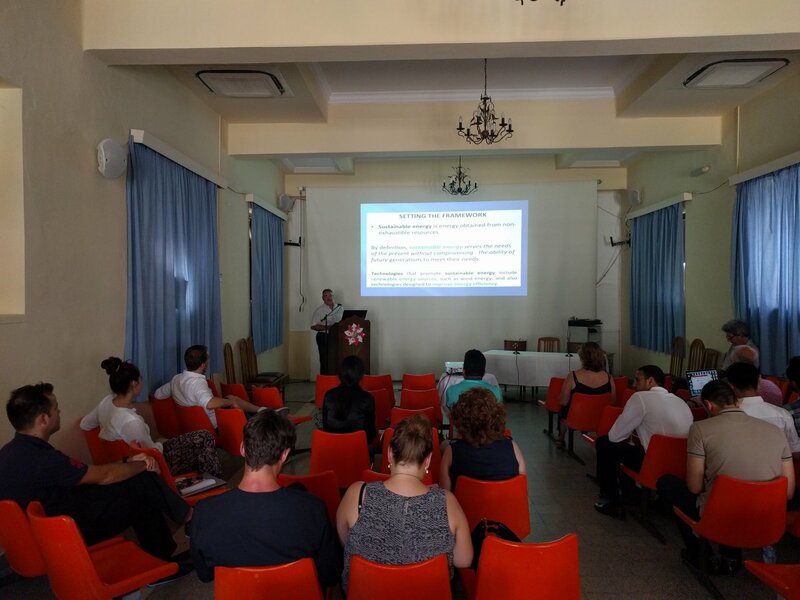 ELCAS-5 took place at the Zosimopoulion conference room at Nisyros Island that is a volcanic Greek island and municipality located in the Aegean Sea and is part of the Dodecanese group of islands, situated between the islands of Kos and Tilos. 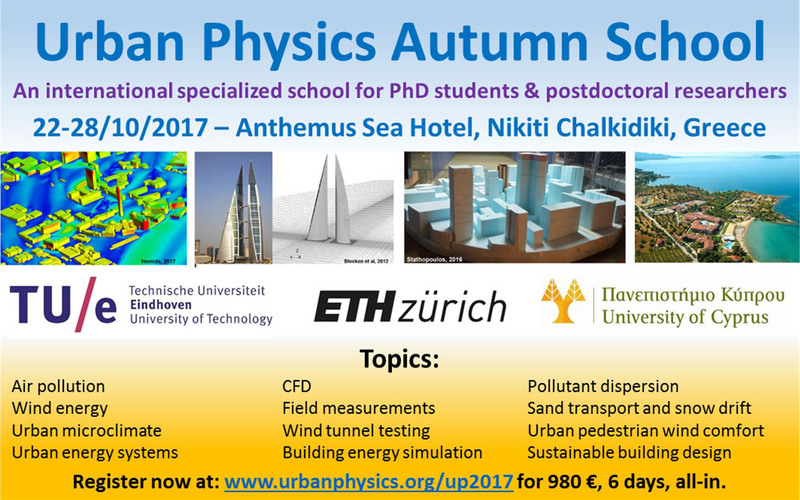 UPAS2017 is organized in the spirit of the European COST Action TU1304 “Wind energy technology reconsideration to enhance the concept of smart cities (WINERCOST)” chaired by Prof. Charalampos Baniotopoulos and Prof. Claudio Borri. Dr. Hassan Hemida, the Chair of the WINERCOST WG1 will provide the lectures on Wind Energy at UPAS2017, and Prof. Bert Blocken, the Co-Chair of the WINERCOST WG1, is the lead organizer of UPAS2017.